2 What about the design? 3 What’s not so cool about the jug? 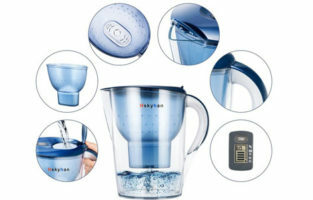 This is where we see a water purifier pitcher with a thoughtful design which also helps the way the product functions. 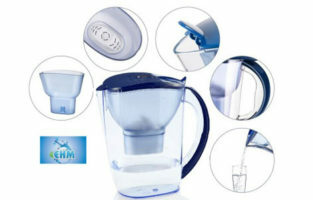 Without spending a fortune, you can have a reliable jug such as the Areally 10 Cup Water Filter Pitcher. 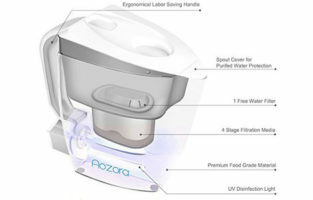 You will be able to enjoy the filtered water at a relatively low price but do not expect the filtration system to be out of this world. It will remove most stuff but when it comes to heavy metals the reduction is significant but definitely not thorough. Capacity shouldn’t be overlooked as well. 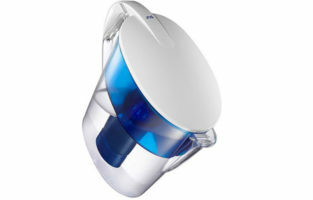 A 10-cup water filter pitcher may be harder to find these days especially at a price like that. 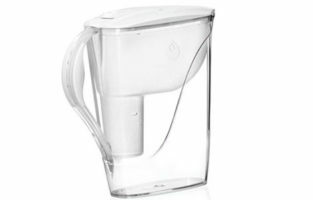 The work intensity of the filter is reduced when you do not refill the jug constantly and this will affect your budget favorably. 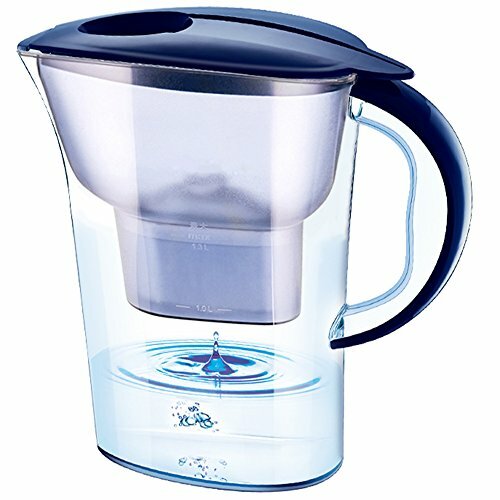 Once you fill up the pitcher, it will take about 3-5 minutes before you can take advantage of all 10 cups of filtered water. This is somewhat a drawback as there are definitely quicker filters out there at the same or lower price. However, if you think a jug a day is enough then waiting for 5 minutes isn’t such a big deal. 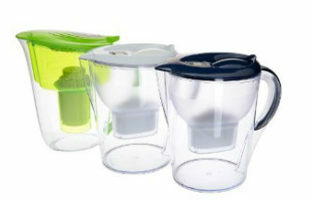 The Areally Water Filter Pitcher is composed of a 100% BPA free plastic. 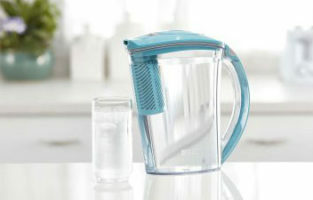 It is lightweight so even with the added weight of the water in it, the jug is fairly easy to carry around the house. 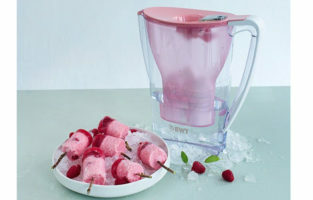 A strong but nature-friendly pitcher is always a great option. 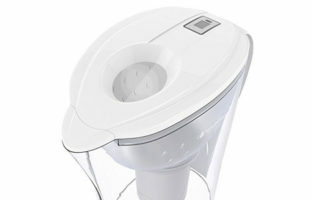 The water inlet on top of the lid is a self-closing one. 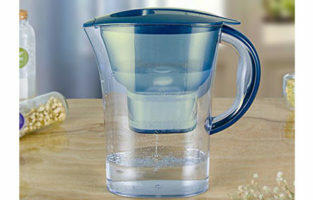 Once you are done pouring water into the pitcher, there’s no danger of any coming out through the hole. This is a convenient “lazy” technology which will definitely be liked by many. The handle is quite rounded. It is not one of those long and sharp, narrow handles that go too close to the body of the filter pitcher. No sir, it gives you plenty of room when held. This makes it significantly easy for people with larger hands and fingers to hold on to the jug. What’s not so cool about the jug? We wouldn’t sound serious if we try to criticize the pitcher about what it doesn’t have because the price is absolutely worth it. However, we will also share a few things that might act as a turn off to some people. There’s just one color available and if you want everything in your kitchen to complement one another, then you better have a blue kitchen. The filter isn’t that expensive although it can be a pain once you start buying them often. A cool addition is that you can get 2 filters at the same time and get a reduced price. The investment might be worth it. Speaking of the filter, be aware that its life isn’t very long. 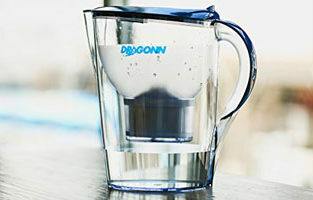 It is marketed as a 40 gallon, 60-day filter but if you use the pitcher daily, the parameters are actually halved. 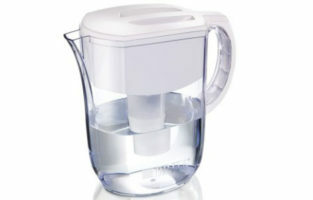 If you drink one full jug a day which is about a ½ gallon, the filter will survive for about 30 days. 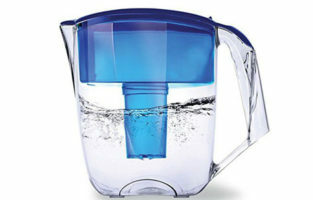 This gives you only about 15-20 gallons of fresh water per filter. 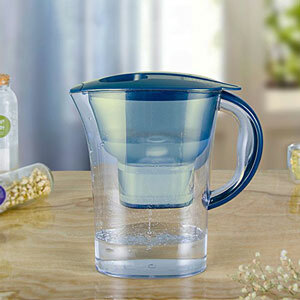 Definitely not the best water filter pitcher when it comes to longevity. But hey, just remember the deal we mentioned above. 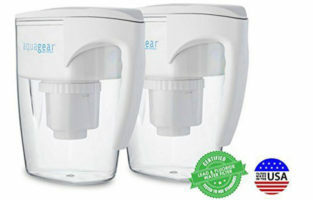 Good value for money – if you are not a heavy water drinker then the quality to price ratio would absolutely be worth it for you. Slow to filter – you have to be patient. 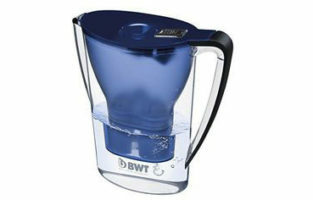 Every jug of water will need about 5 minutes to get filtered.